We are happy that you plan to attend our symposium! 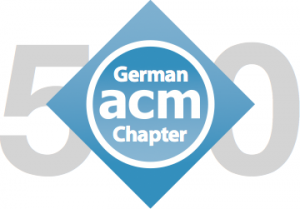 A limited amount of full event free tickets that are sponsored bei the European ACM chapters is available! Buy tickets for Thursday Evening only to listen to the talk of Vint Cerf, father of the key technology behind the Digital Transformation: the Internet. Buy tickets for the entire event (Thursday and Friday) to enjoy all talks.